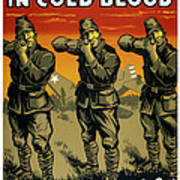 There are no comments for Murder In Cold Blood - Ww2. Click here to post the first comment. This vintage World War Two poster features a downed American fighter plane and three Japanese soldiers with raised rifles. 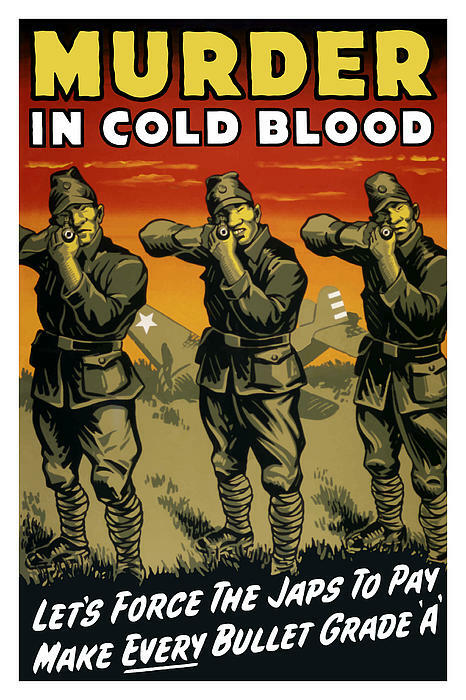 It reads, "Murder In Cold Blood, Let's Force The Japs To Pay, Make Every Bullet Grade A". 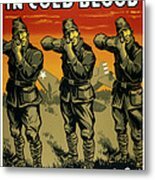 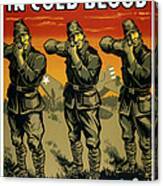 Celebrate WWII History with this digitally restored vintage propaganda poster from The War Is Hell Store.